mind through the use of your breath. 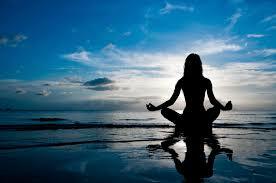 By practicing yoga on a regular basis, you get to know your breath intimately. Not only will you learn about proper breathing, which will soothe and relax you, but you will to bring your postures to life through the use of your breath. As human beings, our minds tend to wander into thoughts of the past and the future. However, our bodies exist only in the present. By practicing yoga, you will learn through your breath how to draw your mind back to your body and abandon all of your worries. One of the refreshing aspects about yoga is that, even if only for a minute, you are able to focus and concentrate on the present, and you are learning to let go of the cares and concerns that can bring tension and disease to your body. By practicing yoga, you will learn conscious breathing during yoga poses which will keep your mind alert and ever aware of your practice. You will learn how to draw your mind to the present moment – allowing you to leave off all other thoughts. While there are a number of breathing exercises associated with yoga which will teach you how to release tension and balance your mind, as a start, try the following exercise. 1. Lie or sit comfortably and become aware of your normal state of breathing. 2. Continue by being aware of your breath but make your inhalations and your exhalations 4 counts each for several rounds. 3. Now, increase your inhalation and exhalations to 5 counts each. 4. Next, increase your inhalations and exhalations to 6 counts each. 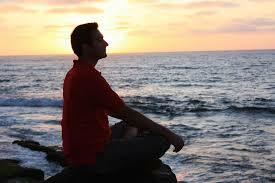 This time try to become aware of your body making sure you are not tensed. 5. Continue increasing your inhalations and exhalations all the way up to 9 counts. If you feel that this is causing you any stress, drop the count back down to a number that is comfortable for you. 6. Keep bringing your mind back to your body to check to see if there is any tension anywhere. If there is, try to relax that part of your body. 7. Whatever your final number of breaths is, continue breathing with long breaths for several rounds, then drop the counting and breathe naturally for 10 rounds. What you should discover from this exercise, as well as with many of yoga’s other breathing exercises, is the ability to relax your thoughts and to still your mind so that you are present in your body. In time, you will eventually gain mastery over your breath so that you will be able to call on your breath to still your mind in times of stress and tension.